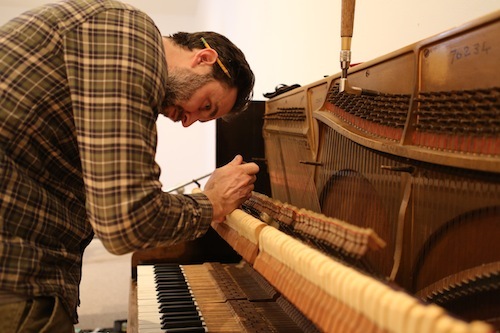 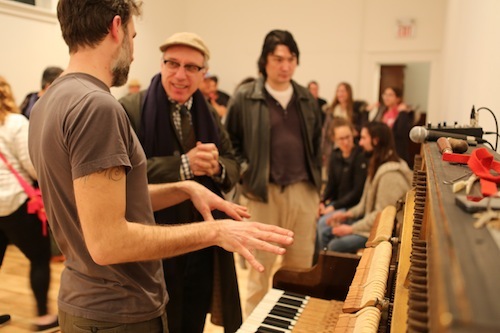 Musician/piano technician Andrew Wedman transforms an upright piano. 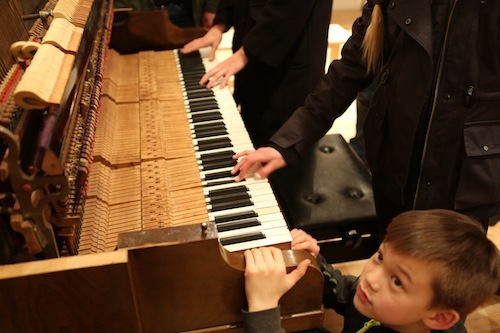 Tuning it down a full octave to A220, the Bass Piano takes on a unique tonal quality comparable to carillon bells and steel drums. 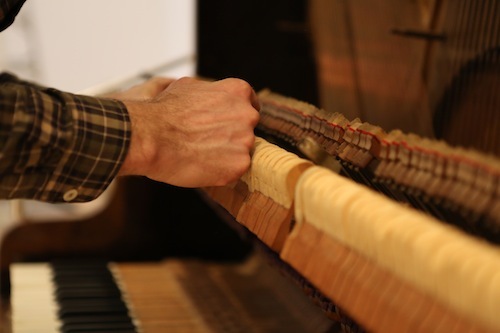 Andrew Wedman is a classically trained pianist (ARCT and McGill) and certified piano technician (University of Western Ontario). 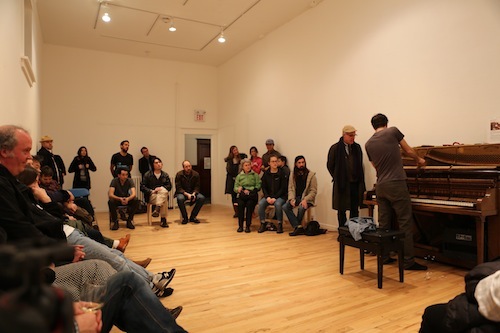 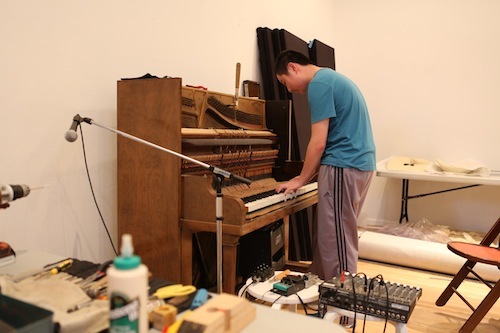 He has been performing and recording experimental music in Canada, the US and Europe since the late 90’s. 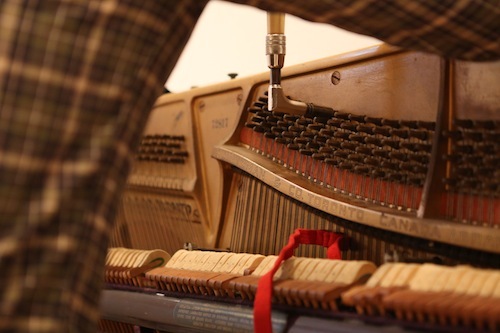 Electroacoustic composition at McGill lead to altered vinyl record experimentation and an ambient techno duo Tinkertoy. 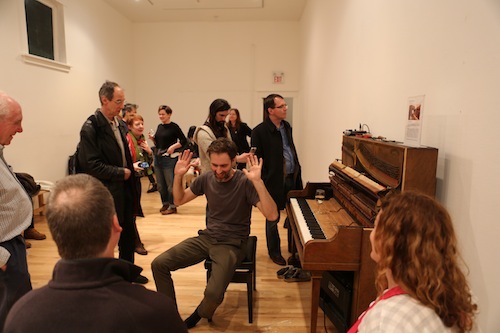 Andrew was active playing with multiple free improv groups while living in Toronto as well as performing his own compositions as Lethbridge Lodge. 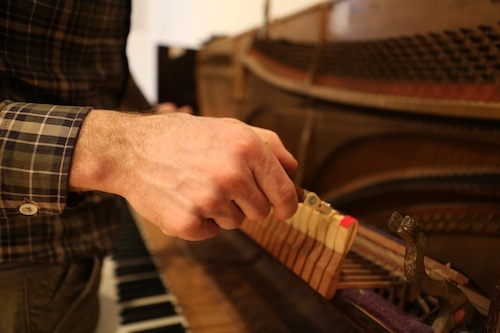 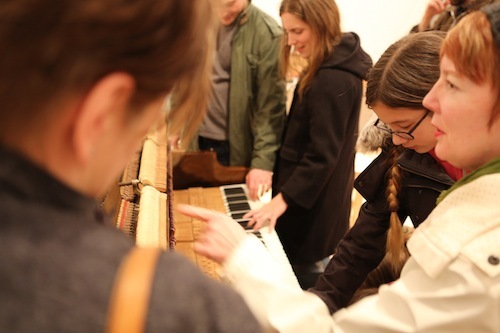 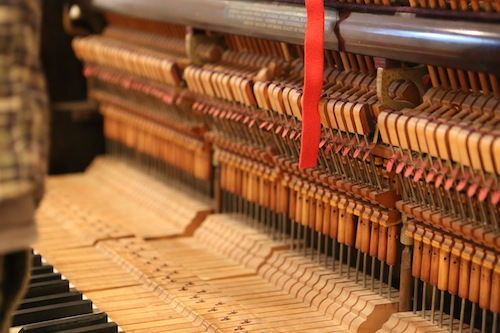 His day job as a piano tuner led him to explorations in altered tunings and extended techniques for the piano. 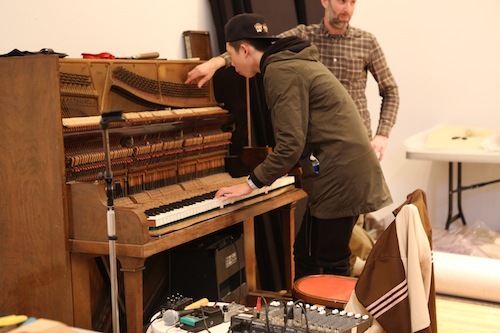 He developed the Bass Piano, a piano tuned down a full octave, in 2012 which was debuted in Berlin by John Kameel Farah. 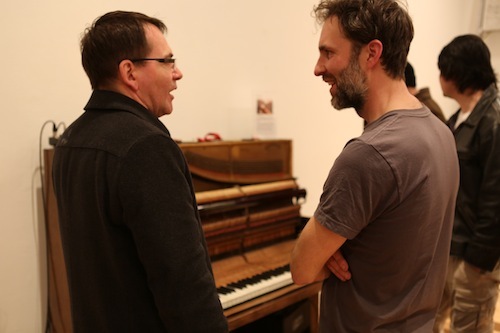 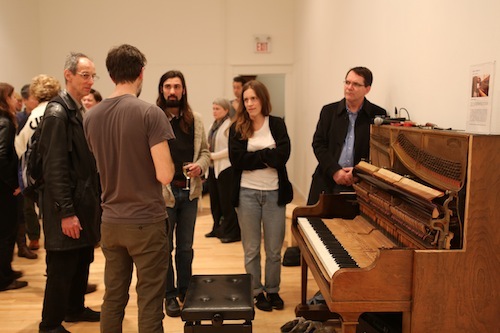 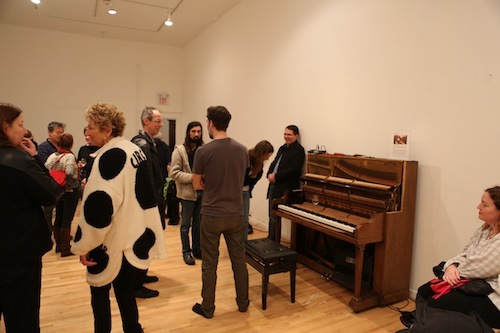 The Bass Piano has since been in performances with Marilyn Lerner, Tania Gill, John Oswald, Ryan Driver and more.